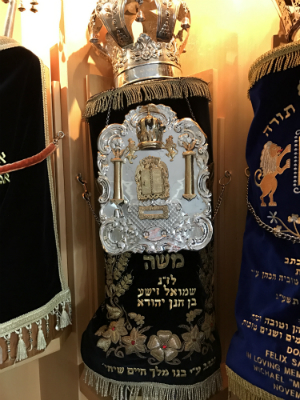 Samuel Brownstein Shul was dedicated by Dr Martin Brownstein in 1998 in loving memory of his father Shmuel Zisa ben Chonan Yehuda of blessed memory. 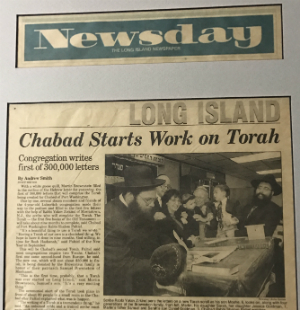 All of the programs of Chabad of Port Washington are open to all people, regardless of race, color, religion or national origin. To say that Mr. Brownstein had a knack for explaining things would be an understatement. As he once recalled it, he began his career as a professional educator in 1919. Although he did not speak English until he began kindergarten, he was such a quick study that by the time he was 10 he was charging classmates at Public School 84 in Brooklyn a nickel or dime an hour to tutor them. 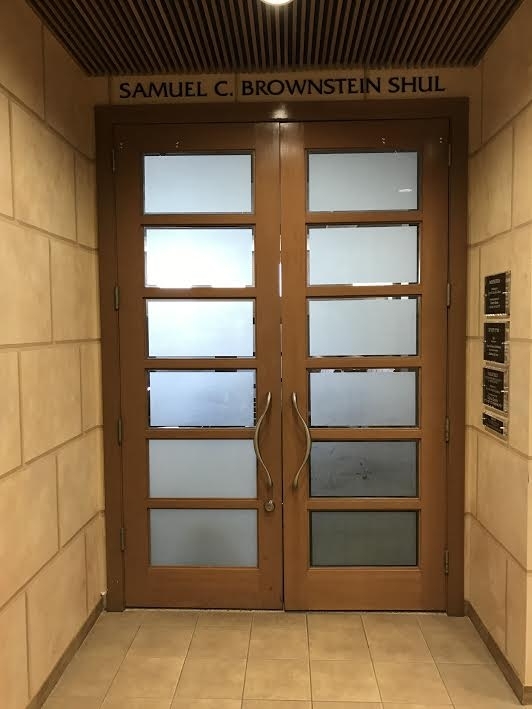 With that kind of beginning, it was hardly surprising that Mr. Brownstein decided to continue his career after studying at New York University and receiving a master's degree in microbiology from Columbia University. Mr. Brownstein, who taught at James Madison High School in Brooklyn before becoming head of the biological sciences department at Wingate, another Brooklyn high school, in 1954, retired from the school system in 1968, but not before he had taken his career to new levels, first by tutoring seniors on how to master college entrance exams and then by putting his lessons into print. In the postwar surge in college enrollment, Mr. Brownstein and a James Madison English teacher, Mitchel Weiner, realized that mastering subjects in the classroom was not enough to assure admission to the better colleges. So in the early 1950's, in addition to their own teaching duties, the two men began offering special classes on how to prepare for entrance exams, initially at James Madison and later at other high schools. Word of their success spread, and within a few years they were conducting as many as 10 tutoring sessions a week in schools from New York to Westchester County. It may have meant a heavy schedule for someone who already had a full course load of biology classes, but when it came to tutoring, Mr. Brownstein was a glutton for work with catholic interests. In time, the Brownstein-Weiner courses came to the attention of Manuel H. Barron, the proprietor of a young publishing company whose line of educational guides and test preparation books included a series devoted to the New York State Regent's examinations. In 1952, he asked the two men to translate their work into print. Two years later, ''Barron's How to Prepare for the College Entrance Examinations'' was published and a new industry was born. Over the next years, sometimes in collaboration with Mr. Weiner, Mr. Brownstein wrote or contributed to several books on test preparation, among them books aimed at the Preliminary Scholastic Aptitude Test, the Graduate Record Examination and the High School Equivalency Test, but the college entrance series proved by far the most popular. 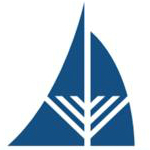 At his death, the current list of books offered by the Barron's Education Series company of Woodbury, L.I., included 19 listing Mr. Brownstein as author or co-author. Although other guides to the Scholastic Assessment Test, as it is now called, flooded the market Mr. Brownstein helped create, the granddaddy Barron's guide has continued to flourish as a perennial best-seller. Now in its 18th edition, the series, which was retitled to focus on the S.A.T., has sold more than four million copies — and Mr. Brownstein had a hand in every one of them. Mr. Weiner, who is still listed as co-author, died many years ago, but Mr. Brownstein continued his work on the series up to his death, although much of the work on recent editions had been done by other editors. No wonder. When you have a knack for explaining things, it's hard not to use it. 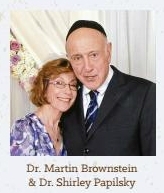 In addition to his daughter, Joan Leibovich, Mr. Brownstein, a longtime resident of Manhasset, L.I., is survived by a son, Martin, of New York City, four grandchildren, and two great-grandchildren.